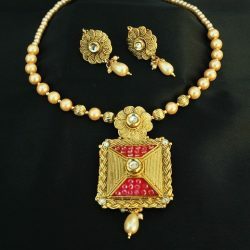 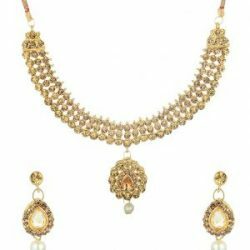 Traditional Beaded Necklace set by Reeti Fashions. 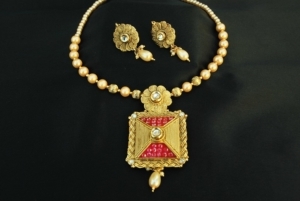 This a copper based jewellry, perfect for wedding, festive, cermony occasions. 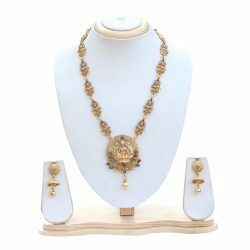 This set completes the look on Indian tradational wear like sarees, salwar kameez, lengha etc etc.